A garage door installation project may seem like a daunting task to undertake, but 31-W Insulation makes it easy so that you can enjoy your new and improved Louisville, Kentucky, home in no time. We’ll help you through the entire process, from providing a free, personal consultation to help you select just the right look to match your home’s architecture, to professionally installing your door to building code and safety standards. Unique designs – Enhance your home’s curb appeal with a garage door that improves the beauty of your house. You can choose from a variety of styles, window panels, and colors to design the door that meets your needs. Insulation – An old, drafty garage door can let a lot of air escape from the house, but a new, insulated door can help to better maintain your home’s indoor temperature. As a result, an Amarr® insulated door will help you improve your home’s energy efficiency, which could save you money on your utility bills. Safety features – Amarr® offers special SafeGuard Pinch Protection Doors to help reduce the risk of finger pinches and hand injuries. Strong hardware – Heavy-duty hardware that can endure the wind and weather will help your garage door function seamlessly for years to come. What’s more, most of our garage doors include a limited lifetime warranty. That warranty, coupled with professional garage door installation services from 31-W, lets you know that your investment is protected. We’ve been helping homeowners with many of their home improvement needs since 1972, so we have the familiarity and expertise you need to help make your dream home a reality. 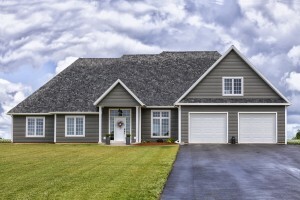 Whether you’re interested in a garage door installation or any of the other installation services we offer to homeowners in Louisville, KY, and the surrounding communities, contact 31-W Insulation today.